TOKYO (Bloomberg) -- Mitsubishi Motors Corp. will sell new shares at 1,120 yen ($10.73) each to raise as much as 257.1 billion yen ($2.5 billion) and plans to pay a dividend for the first time in more than 16 years as part of its reorganization after a bailout. Mitsubishi Motors will issue as many as 241 million shares, including an over-allotment of 23.25 million shares, the carmaker said in a filing Wednesday. It plans to use the proceeds to buy back preferred stock held by other Mitsubishi companies. The share issuance is part of President Osamu Masuko's reorganization of Mitsubishi Motors as sales recover and as the company purchases preferred stock issued to affiliates such as Mitsubishi UFJ Financial Group, which extended loans to stop the automaker from collapsing a decade ago. Mitsubishi Motors received bailouts in 2004 and 2005 as revenue slumped following the company's admission that it covered up defects. The carmaker last declared a dividend in September 1997, according to data compiled by Bloomberg. Net income will probably more than double to 100 billion yen as sales climb 16 percent to 2.11 trillion yen in the year ending March 31, Mitsubishi Motors said Dec. 20. Bailouts in 2004 and 2005 left Mitsubishi UFJ Financial Group, Mitsubishi Heavy Industries and Mitsubishi Corp. with billions of dollars of preferred shares, convertible into common stock, that never generated any dividends. Though independent, the companies are among the hundreds of Mitsubishi-named businesses that trace their roots to a shipping firm founded by Yataro Iwasaki in 1870, making them the oldest business collective in Japan. The Mitsubishi companies that bailed out their car affiliate have been seeking to convert their preferred stock because the carmaker's inability to pay dividends rendered them pointless as preferred shares don't carry voting rights. 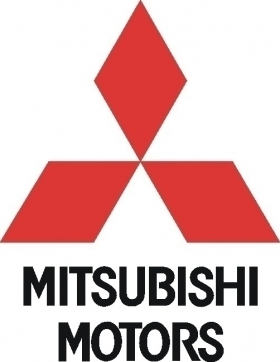 Mitsubishi Motors has said it plans to eliminate all outstanding preferred shares before the fiscal year ends in March 2014.